W.E. Rock Rock Crawling in Congress, Arizona. A great 2-day rock crawling event features the pros of the series and also allows sportsman and UTV drivers the opportunity to try their hand at the rocks. 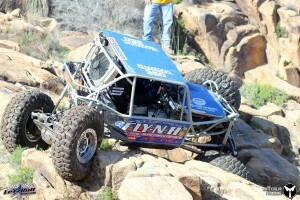 Five classes of rock crawlers will be challenged to multiple courses each. The top 4 in the Pro Mod and Unlimited Classes will go into a shootout at the end of the day on Sunday to determine the winners. Spectators are encouraged to come and enjoy both days of entertainment with gates opening at 9am, and the action starting at 10am until around 4pm both days. The awards ceremony immediately follows the final Shootout on Sunday. Admission is $25 for a two-day pass, $15 for adults, $5 for ages 8-15 with a parent, children 7 and under free and Military with ID get $5 off.